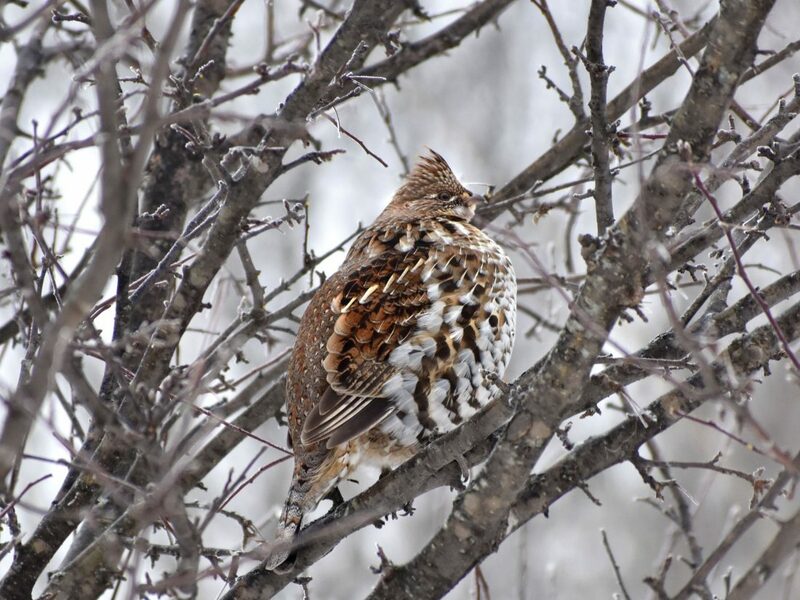 This week’s snowfall offered a fresh blanket for ruffed grouse to take cover again. Better hope Punxsutawney Phil’s prediction of an early spring proves true. 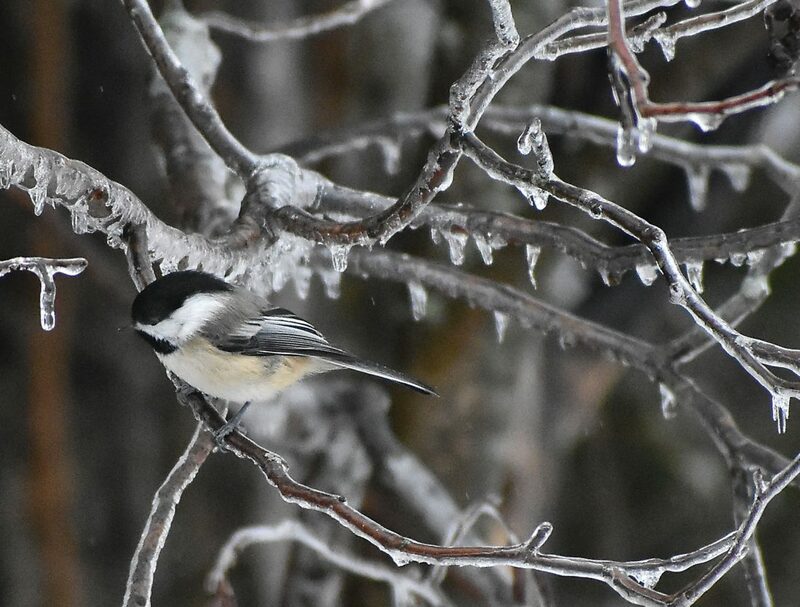 The effects of the recent severe weather on wildlife in the region won’t be readily apparent for now but could appear in late March or April if, as happened last year, spring takes its time in arriving, said Brian Roell, a biologist for the Michigan Department of Natural Resources. Most animals that make their home in the Upper Peninsula are adapted to whatever the elements can deal out in a normal winter, Roell said. Even in February, they likely still have some fat reserves to draw on for the extra energy needed to cope with the extreme cold, ice storm and then several inches of snow that hit the region in the past two weeks. But what they use up now means they won’t have that later in the winter, so may start to struggle in a month or so, Roell said. The ice, in particular, created a crust on the snow that made it difficult for deer to move easily, so they had to exert themselves to find food. The ice also coated tree branches, covering fruit and buds the birds rely on this time of year, Roell noted. And it made it tougher on birds of prey to detect rodents under the snow, much less be able to get to them through the ice barrier. At such times, hawks may become scavengers on carcasses, Roell said. He actually had a barred owl show up on the suet feeder at his home near Big Bay on Lake Superior, something he’s never seen before. The double dose of snow this past week did appear to soften up the crust somewhat, and gave the snow-roosting ruffed grouse sufficient cover to dive in again. But many trees still had a glittering crystal glaze even into late Friday — beautiful with the full sun and white background — though the wind was helping to finally strip some of the ice off the branches. Sunday, I got to photograph ruffed grouse feeding in a row of apple trees along where Six Mile Lake Road meets M-69. Monday, I was stuck at home by the ice storm. Tuesday, I headed into work early — and on M-69, at the point in the morning when the rising sun keeps headlights from piercing far into the gloom, two figures appeared on the highway way too late to avoid. Only one grouse flew off in time. I hope the other one at least ended up as an easy meal for a predator. Considering how early and how late I make the roughly 25-mile commute between Six Mile Lake and Iron Mountain each day, I’m thankful as to how few creatures I’ve had to try to dodge in my more than three years in the U.P. Still, I fret over every one that, despite my best efforts, somehow ends up on a collision course with my vehicle. I did wonder what the grouse were doing on the highway, as they were not crossing but appeared to just be sitting on the road. While grouse species can seem to lack caution — spruce grouse, which can be found in Iron County and other parts of the northern Upper Peninsula, have been referred to as “fool hens” because they often show little fear of humans — this seemed unusual behavior even for them. Other birds such as crows will wander out onto roadways to pick at roadkill but that wouldn’t tempt a grouse, which in winter feeds on tree buds and twigs. Roell had an explanation. County crews had been busy after Monday’s ice storm spreading salt and sand on the roads. Birds need grit for their gizzards — the internal organ that grinds up their food since they lack teeth — “which is harder to come by in the winter,” he noted. So the grouse likely were drawn to the scattered sand and small pebbles, Roell said. I just wish they’d picked a different time and place to restock on grit. The 22nd annual Great Backyard Bird Count will take place worldwide starting Friday through Monday, Feb. 18. The effort provides a snapshot census of sorts that can help researchers better gauge how bird species and populations are faring. The event asks that participants spend at least 15 minutes on one or more of those four days counting bird species and their numbers, at home or wherever they choose. That data then can be entered at gbbc.birdcount.org. This is a great and easy way to play “citizen scientist;” school classes in particular are encouraged to join in the effort. Beginning bird watchers to experts are welcome. For more information, contact the National Audubon Society at citizenscience@audubon.org, or go to the website at https://www.audubon.org/conservation/about-great-backyard-bird-count; or Cornell Lab of Ornithology at gbbc@cornell.edu, website http://gbbc.birdcount.org.